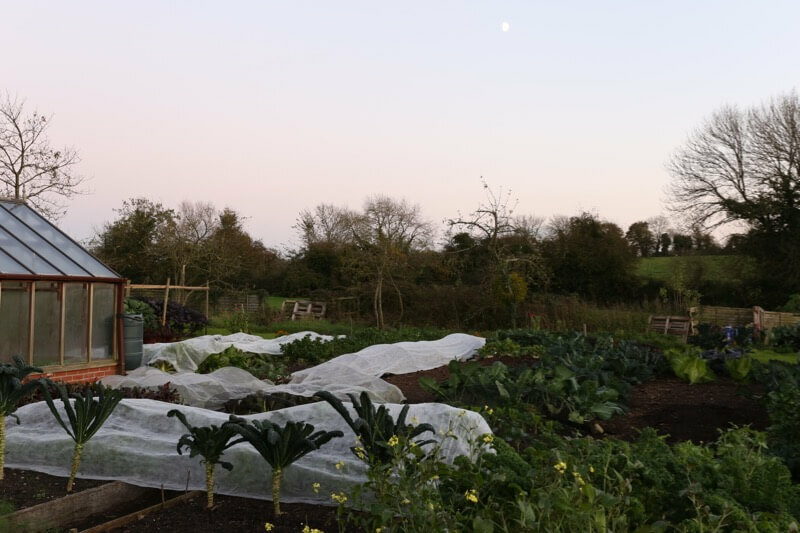 There are many lovely harvests to make in November, and much to learn from how things have grown this year. 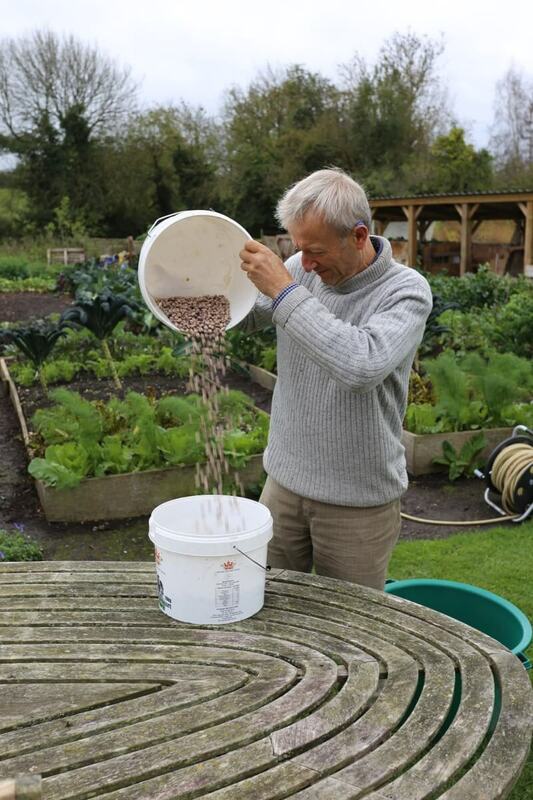 The main sowing is broad beans, from now in colder areas until mid or late November in southern UK. 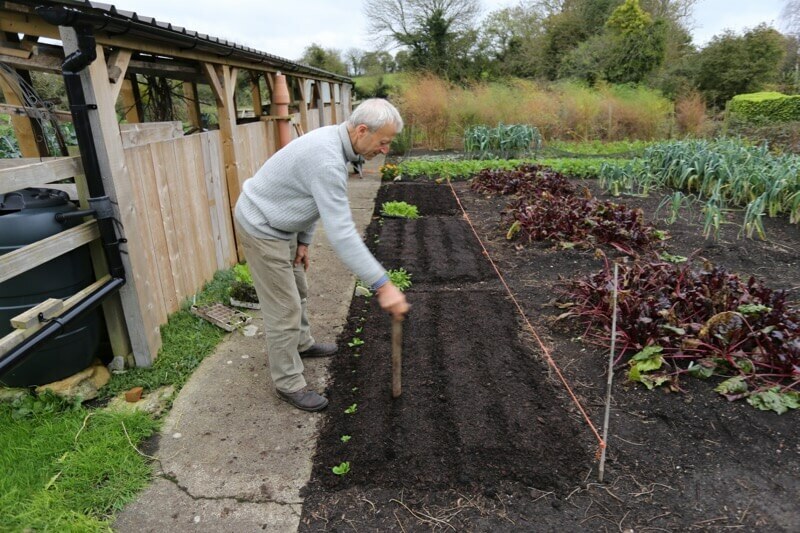 The aim is to have seedlings not plants, before winter’s cold arrives. 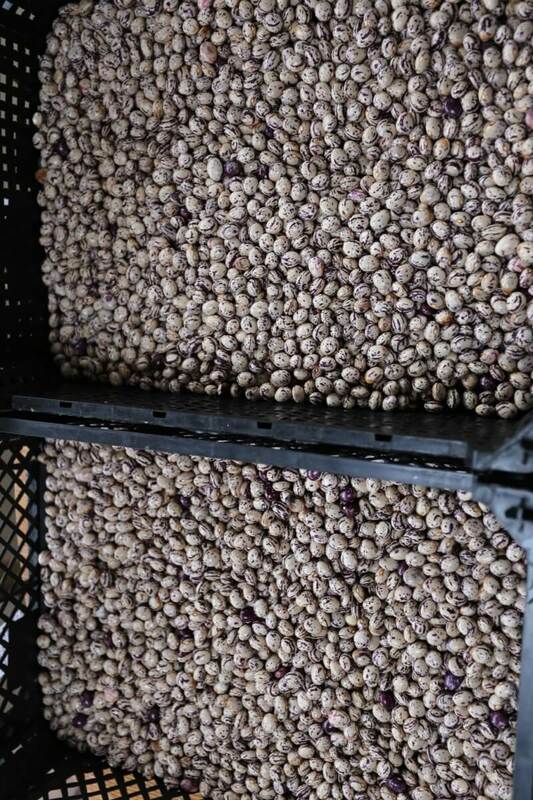 If you were beguiled by seed and plant offers in October, and have 10cm broad beans already that may be knocked out by winter frost or blown over by gales, I suggest sowing some more seeds alongside as back-up: space at 4×15-18in/10×40-45cm. 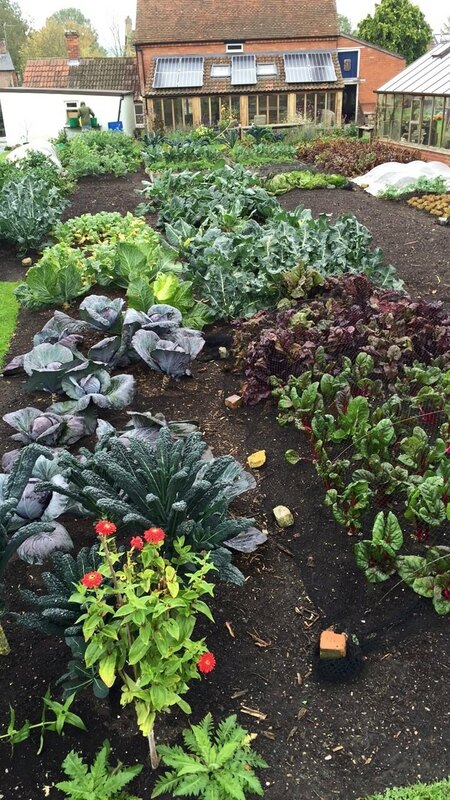 Before hard frosts, it’s time to harvest cabbage hearts, beetroot and carrots. I put them in boxes or crates, that is all, see this storing video for details. 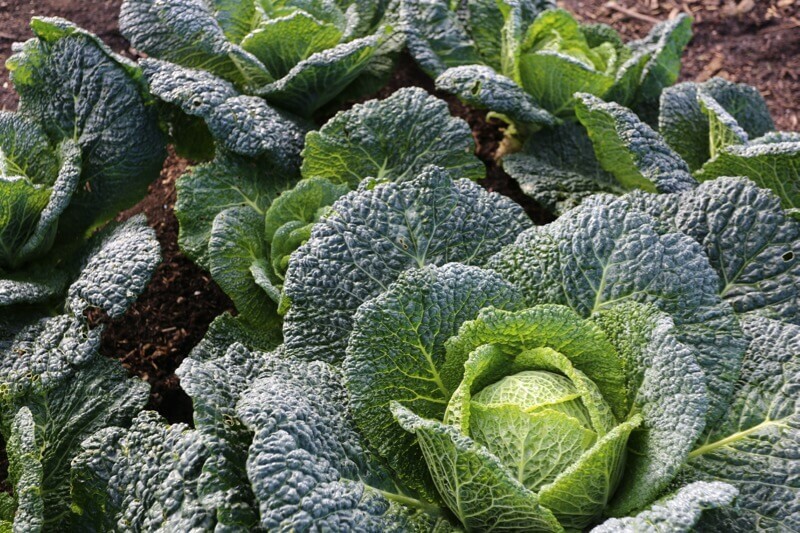 The cabbage photos below are from February. 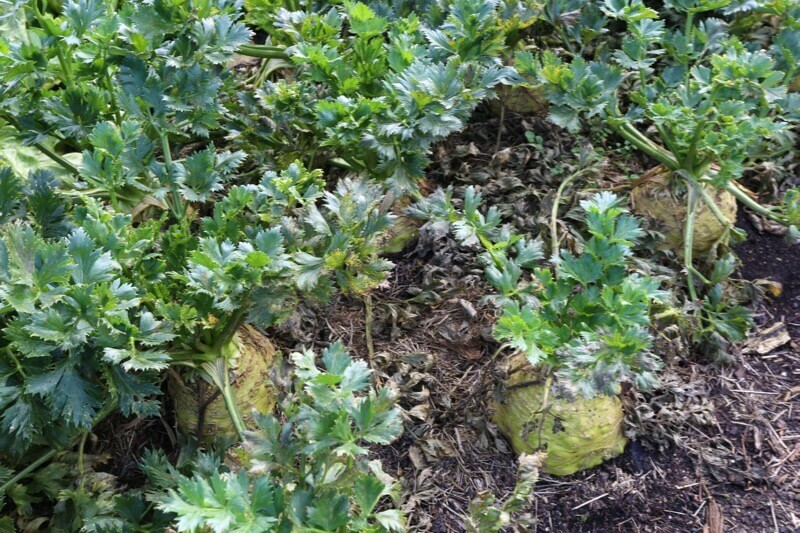 Celeriac are frost hardy and still swelling, no rush to harvest. However they may suffer Septoria (fungal) disease on their leaves, as in the photo, and if most leaves are going grey/brown it’s worth harvesting now to store. The video gives background to this and every harvest has interesting variations. Because the plots are small and not replicated, it’s not a scientific trial, but gives indications. 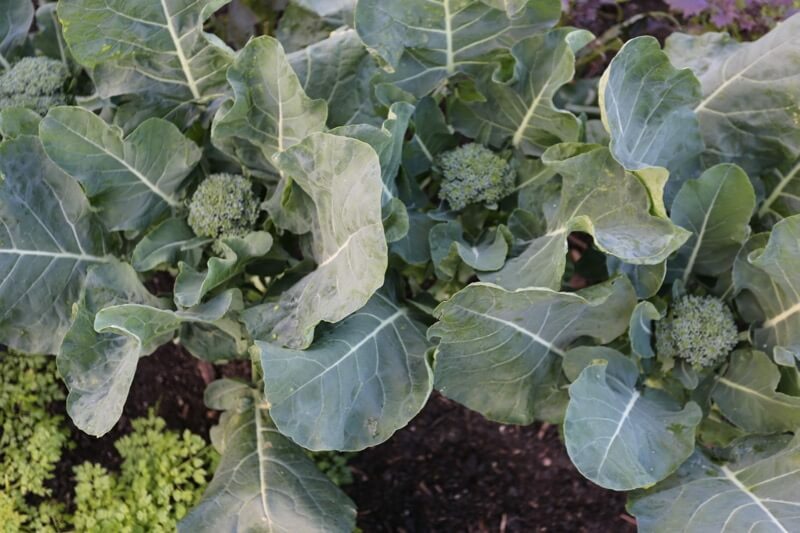 The main ones after four years are that compost from cow manure has more oomph and a few more slugs, and forking the soil causes a slight loss of yield. 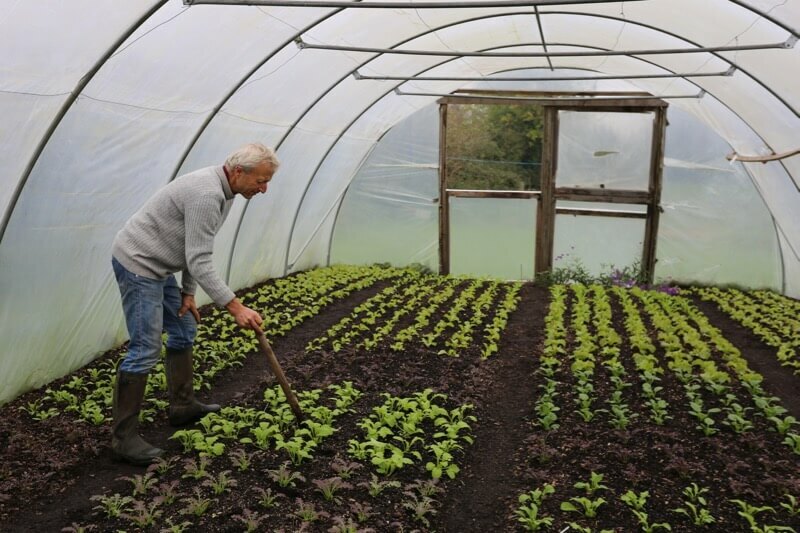 We popped some cloves in the tunnel and greenhouse , because of having no rust in there which impedes growth outside. We planted saved seed, some of which is 19th season. There is still time to plant garlic this month. 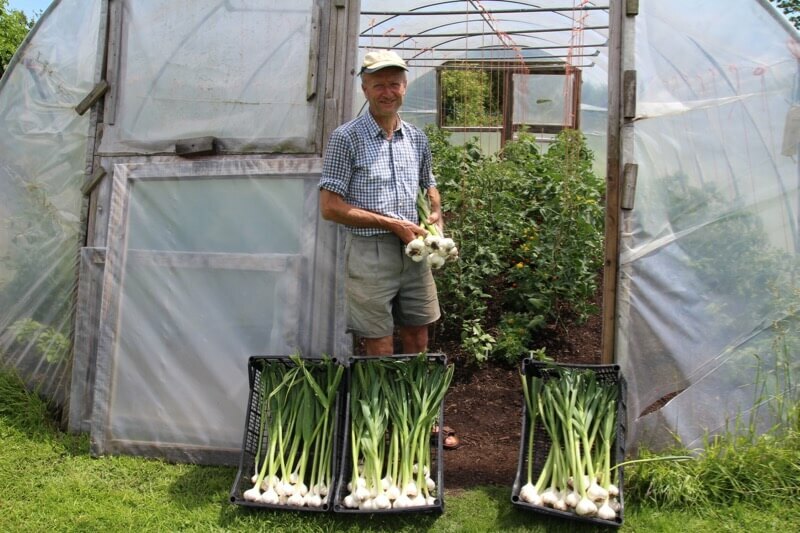 The garlic grows happily among winter salads, then finishes its growth by mid June, between new plantings of tomato and cucumber. 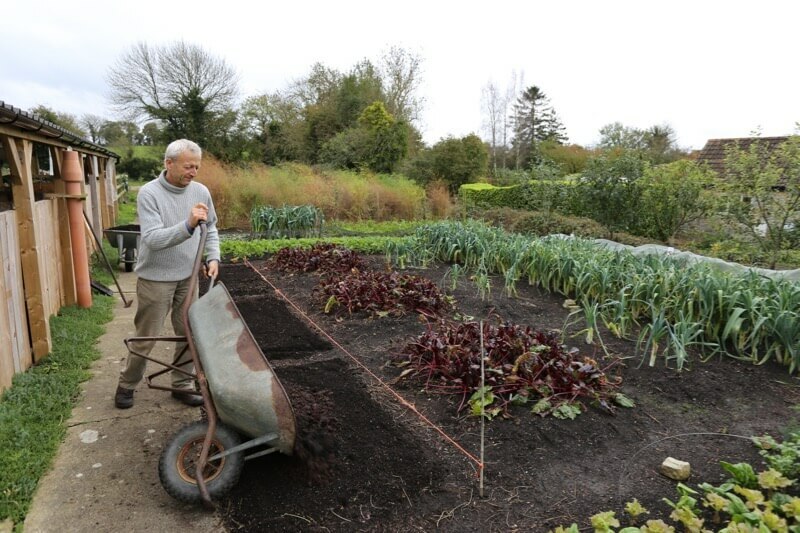 The job of the season, feeding our friends in the soil and protecting them from winter weather. Compost is sufficient, no need for polythene over unless you have couch grass etc. 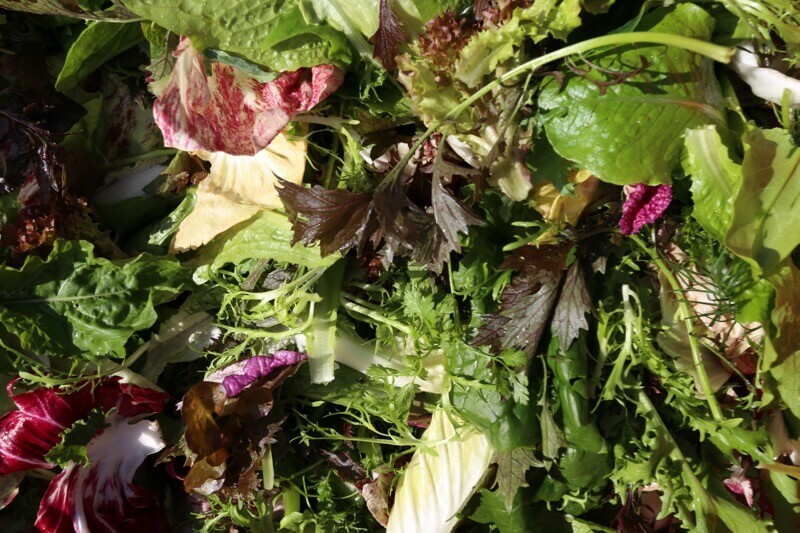 Compost livens soil and holds plant food for a long time. 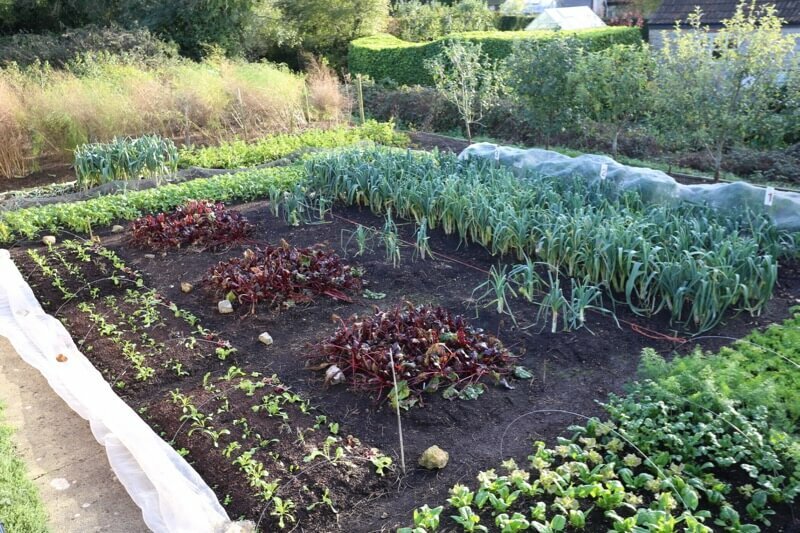 The autumn growth of Homeacres second crops, from compost- and soil-stored food, with nothing added since the last application of compost a year ago, shows how water-insoluble the nutrients are. I spread a max. 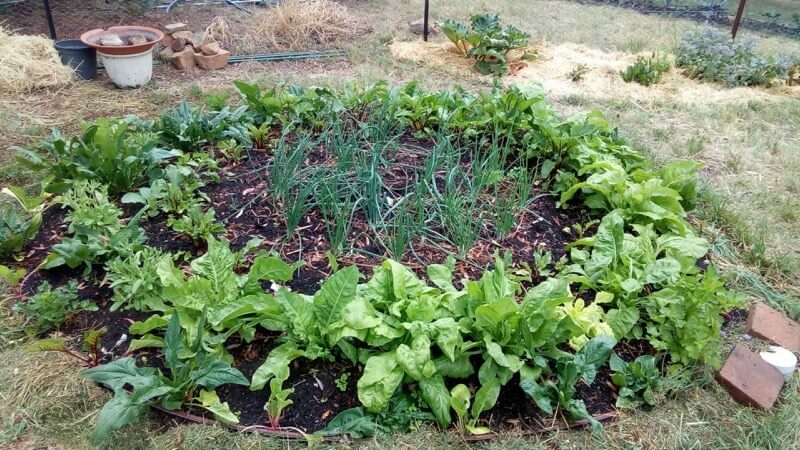 of 2in/5cm mulch, less if the compost is well matured and denser. 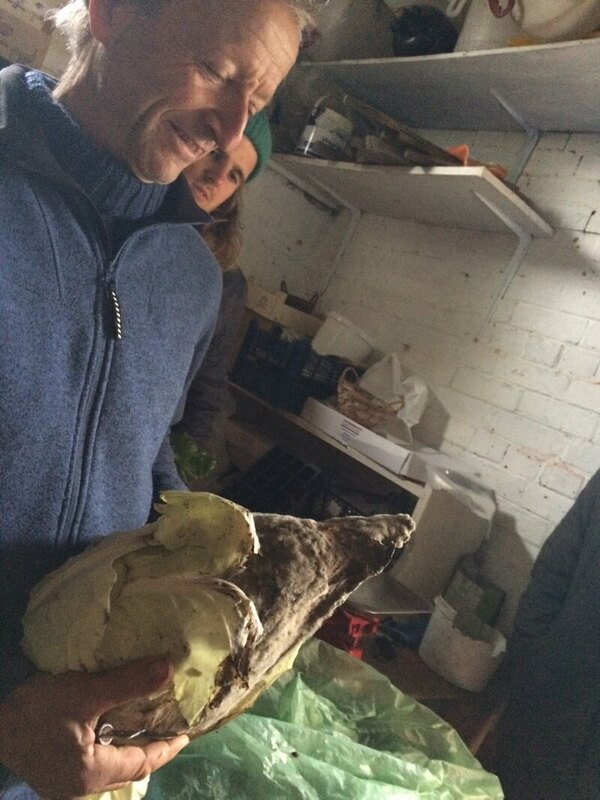 We are using 4-9 month homemade, 8 month green waste & mushroom, and 3 year cow manure. These ‘age’ figures are approximate, from the date of raw material. 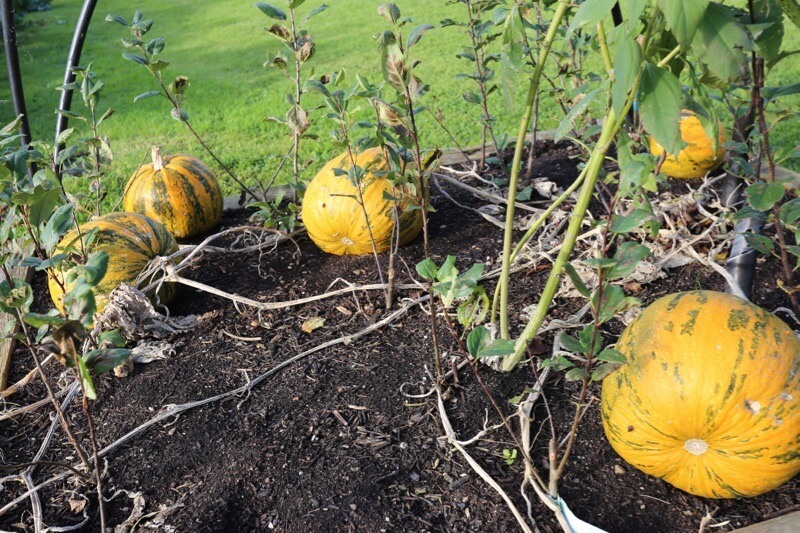 A mild October saw good growth and no frost damage, all leaves still from outside. 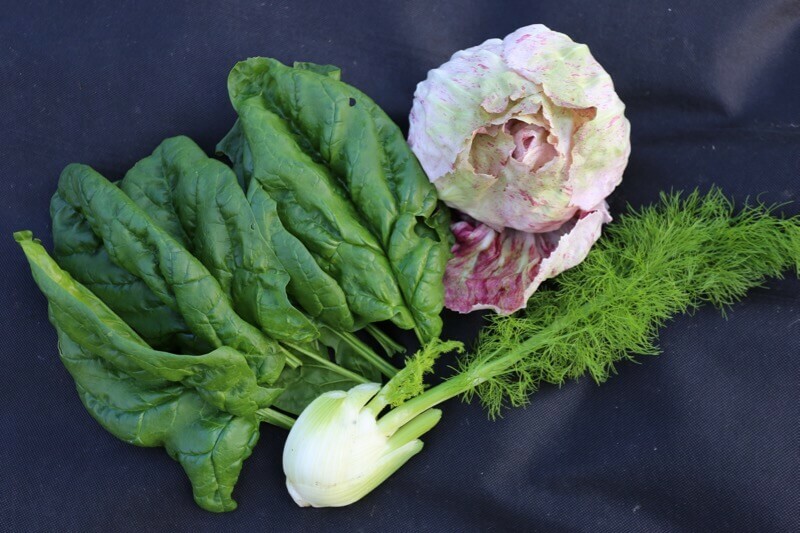 Growth is slower so I maintain yield (see Salad Leaves book, bargain price) by cropping hearts of chicory and Chinese cabbage: the red Scarvita is superb, see CN Seeds. 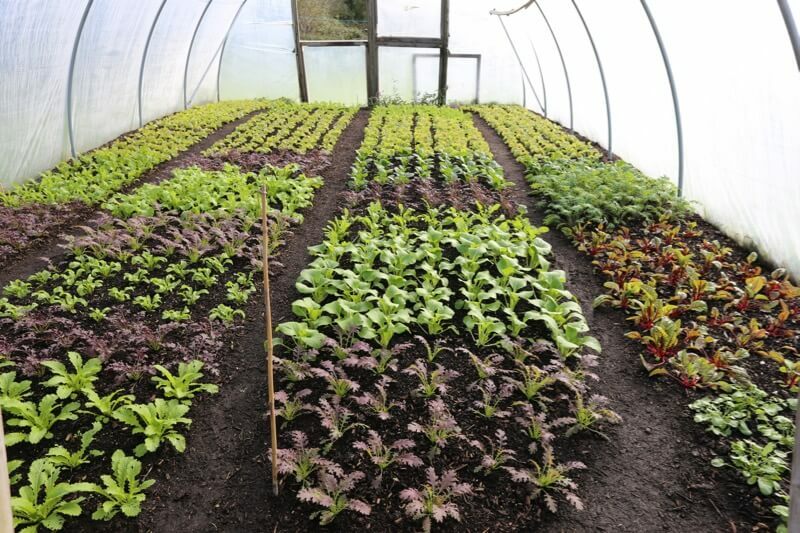 Growth in the polytunnel looks promising: we simply clear summer crops, water, plant. No amendments until next May. 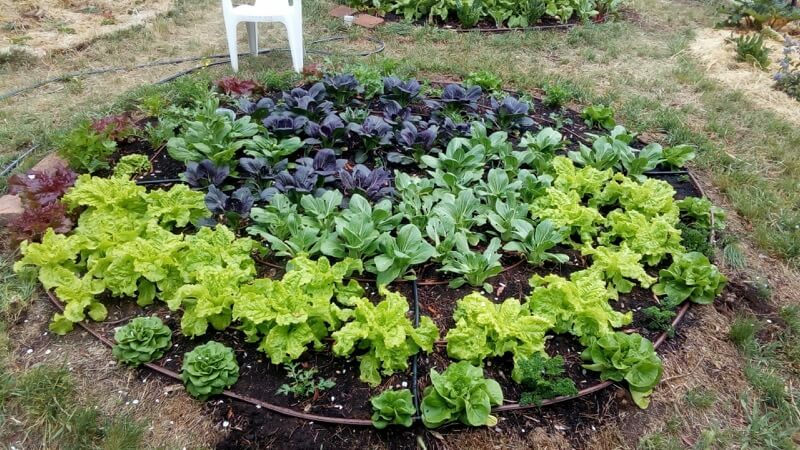 I find that here, zone 8b with winters mostly above freezing, it’s just possible to plant winter salads after clearing climbing beans, but only just. 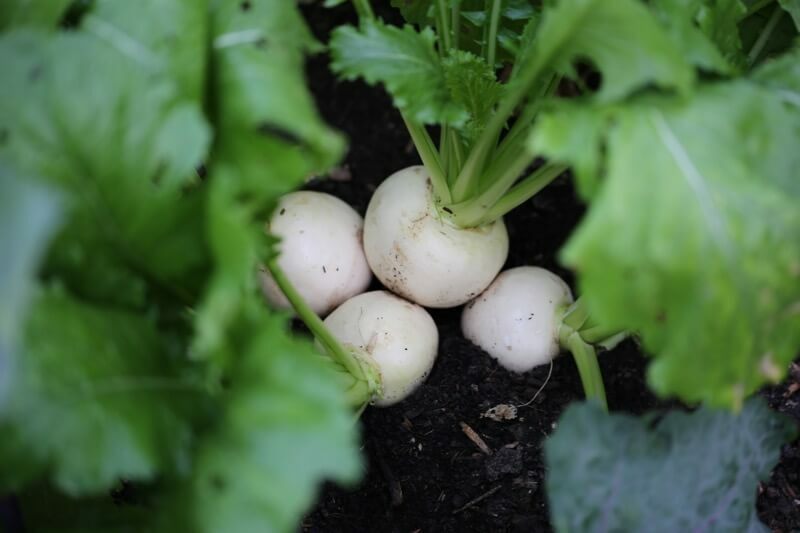 Mild winters increase the harvest period, otherwise it might be only 6-8 weeks from mid March. We shall see. 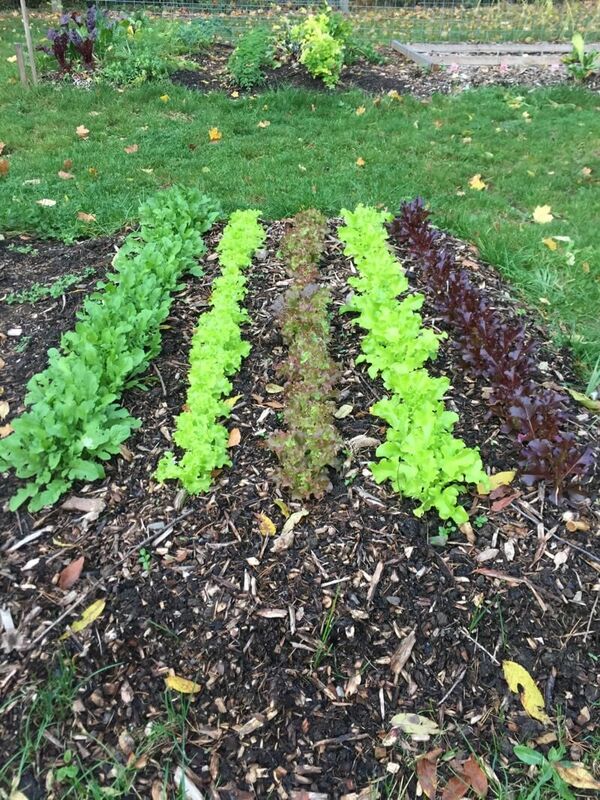 We mulch for the year before planting these salads. Then clear them by next May to plant climbing beans again, no rotation on these beds for five years so far, another trial. Dibbing holes for salad plants, in and through the compost. I set plants as deep as I dare. I am so heartened to see the uptake of no dig. 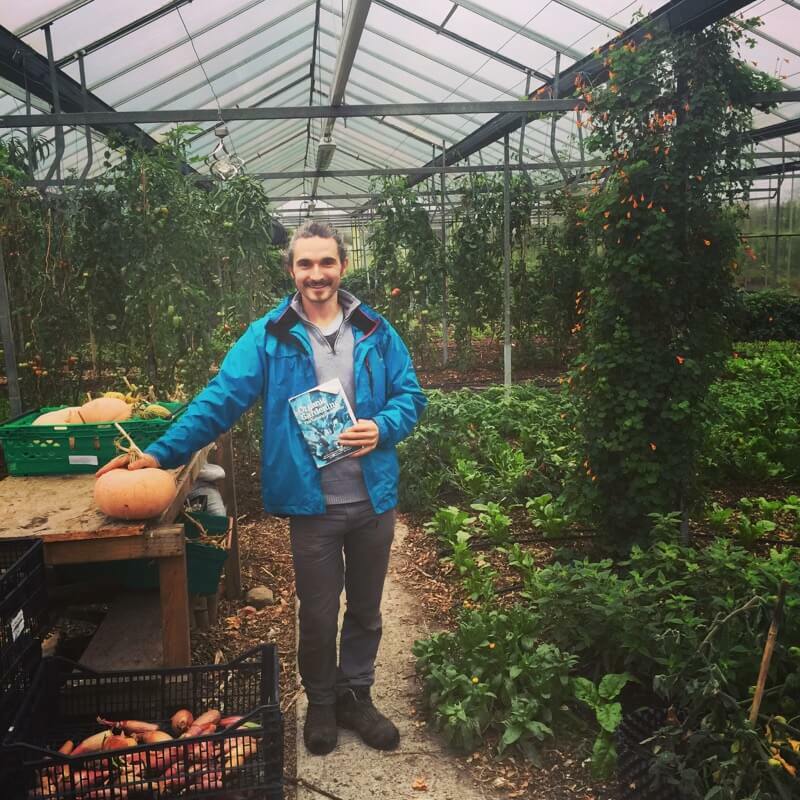 I was fortunate to visit Oisin Kenny’s farm near Galway, Ireland from where he supplies many restaurants in Galway and a Supervalu store. He is also experimenting with woody mulches, just recently, so there are no conclusions yet. The RHS’ Wisley students visited here in August, with Sheila Das the Gardens Manager. 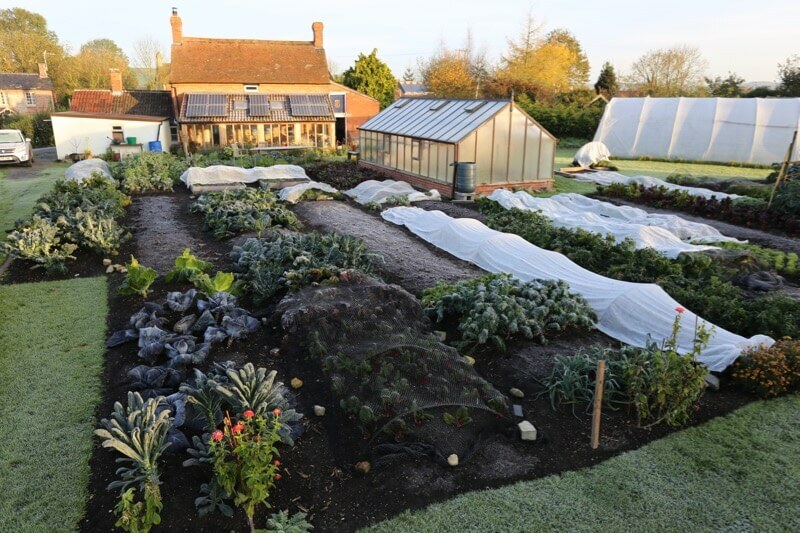 She is working to implement sustainable soil practice at Wisley, for example they are adopting no dig on 50% of each student’s plot, for five years, to see what happens. I am excited and hope to call there in March, before I give a talk nearby to NVS Surrey, in East Horsley. I received this message from David and Melissa Armstrong who run a vineyard in Bungonia Creek, New South Wales, 35 degrees south, similar latitude to N Africa. 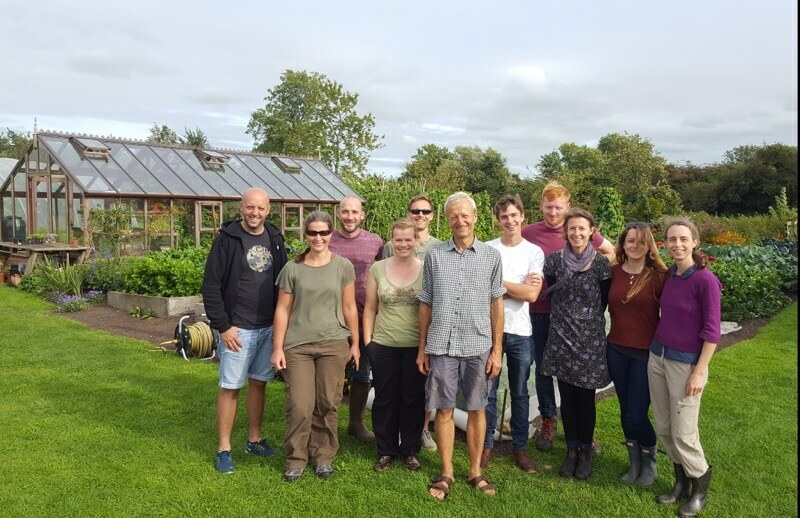 They attended a course with me in July and are keen to grow more for selling veg with their wines, at the local market. 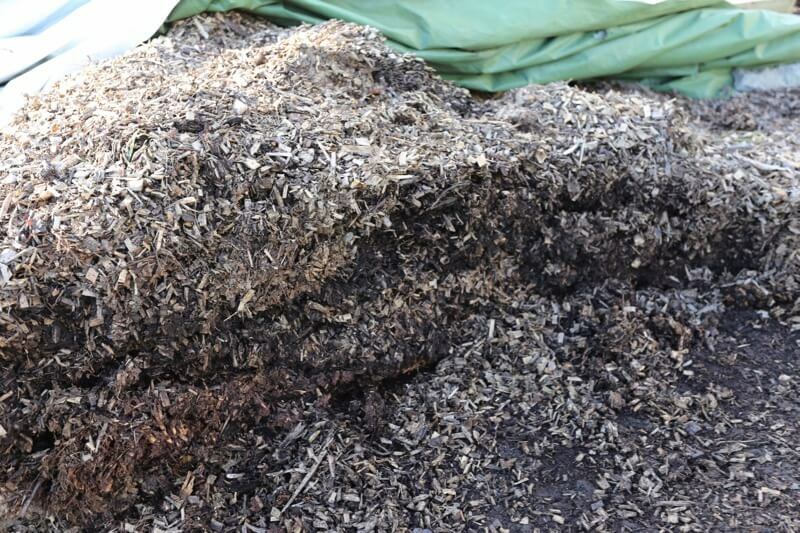 They are finding that compost mulches result in many less slugs than the straw they had used before, but they may spread straw later, in dry summer heat. We are out in the country so no close neighbours but several of our wine tasting visitors are very impressed with the vegetables and this seriously contradicts the advice we were given when we first arrived here (8 years ago) that it was impossible to grow vegetable in this hot and dry environment. 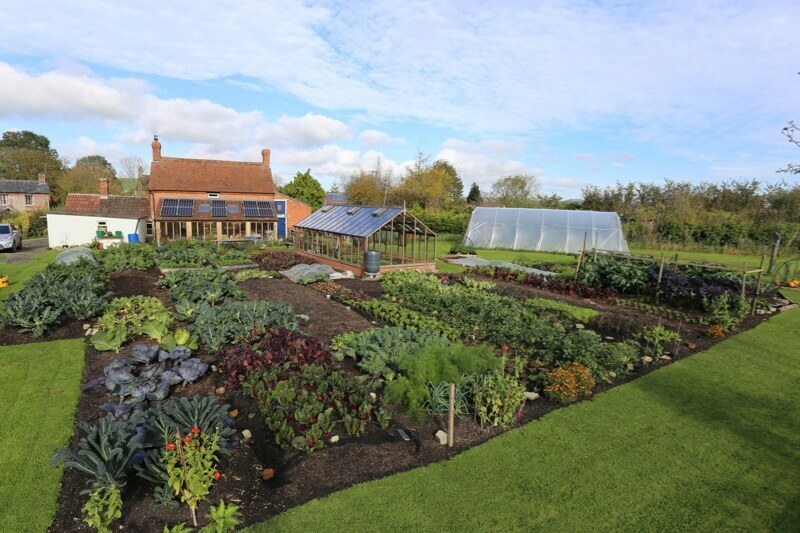 Initially we focussed on growing vegetables in aquaponics, wicking beds and a hugel culture bed but with your No Dig inspiration we are rapidly doing almost as well growing vegetables in the moister south. The new one looks at onion growing and its timing is apt. In the same week I published it, Which? 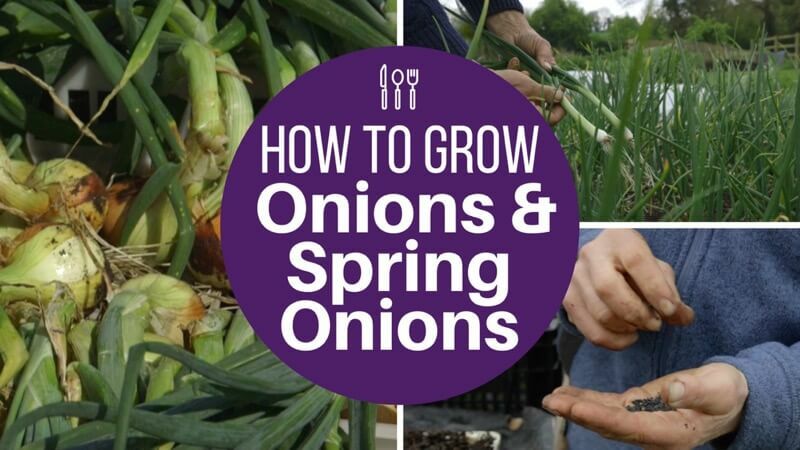 Gardening published results of their onion growing trial, in which seed-grown onions yielded better and with less disease than set-grown onions. The cost comparison is almost shocking, with sets costing, per kg of harvest, almost as much as buying a kg of onion in the supermarket. That though depends where you buy the sets. 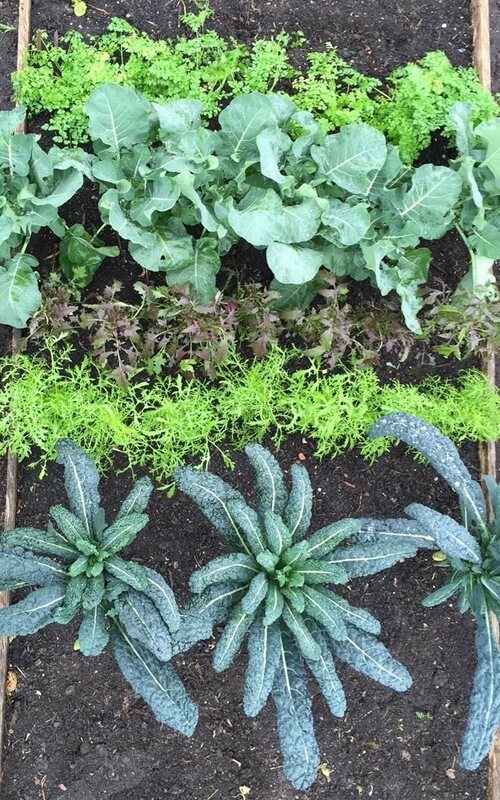 We are in the process of filming a “small garden” video, with harvest examples from each month of 12. 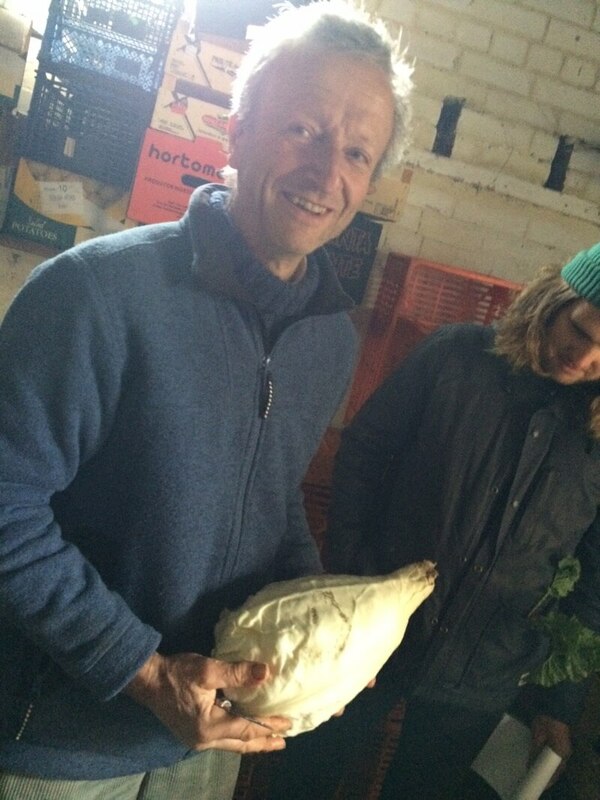 We had a great harvest in the end, many kg of dense food to store in jars, for eating over a long period. 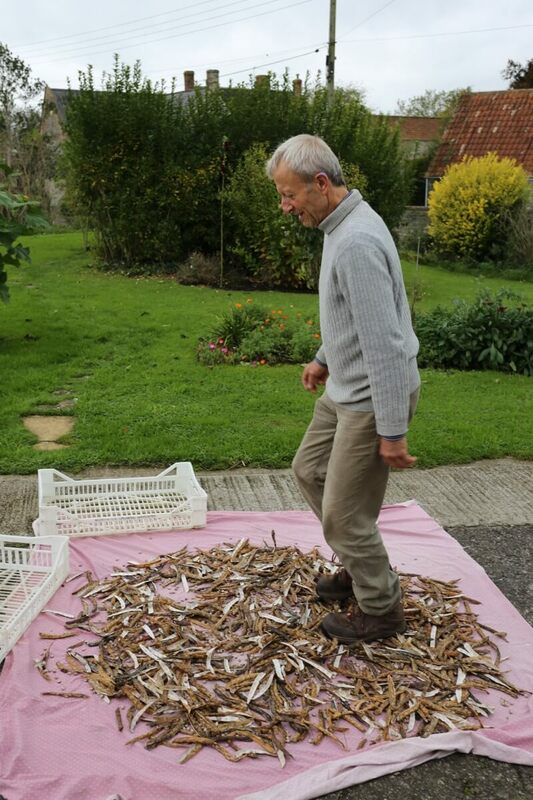 We find the Czar are quick to shell, but borlotti beans are definitely worth walking on if you have a fair amount, to make shelling quicker. 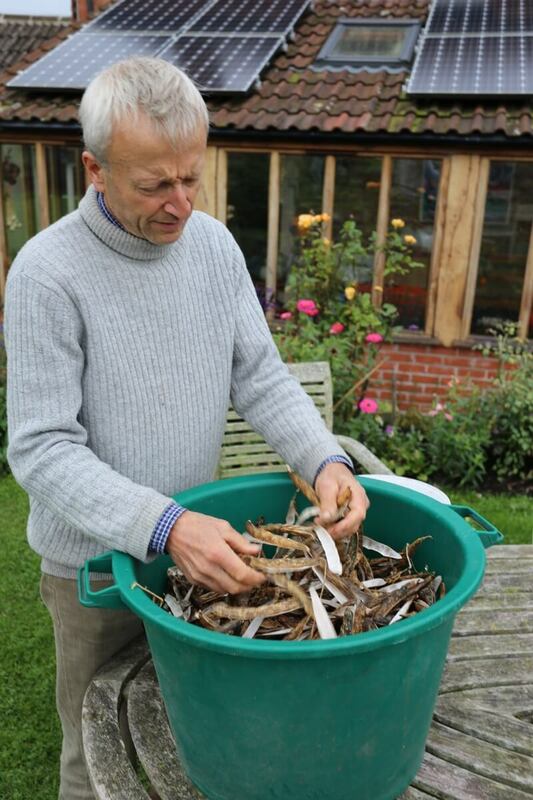 My tipi of 8 borlotti plants yielded 3.22kg/7lb of dry beans. All the squash are now inside in warmth, to dry their skins and necks. Cron Prince gave 22 fruits of 3-4kg off 3 plants. 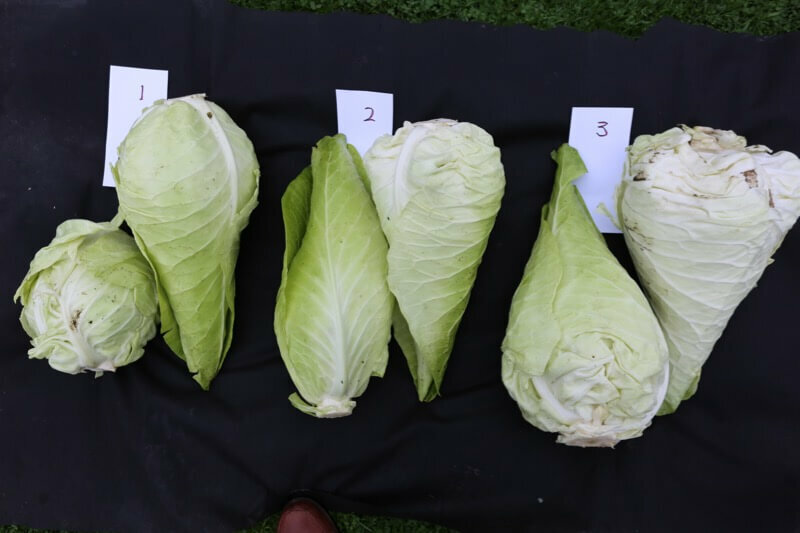 Savoy cabbage are coming into season but it depends which variety you planted, when they heart up. 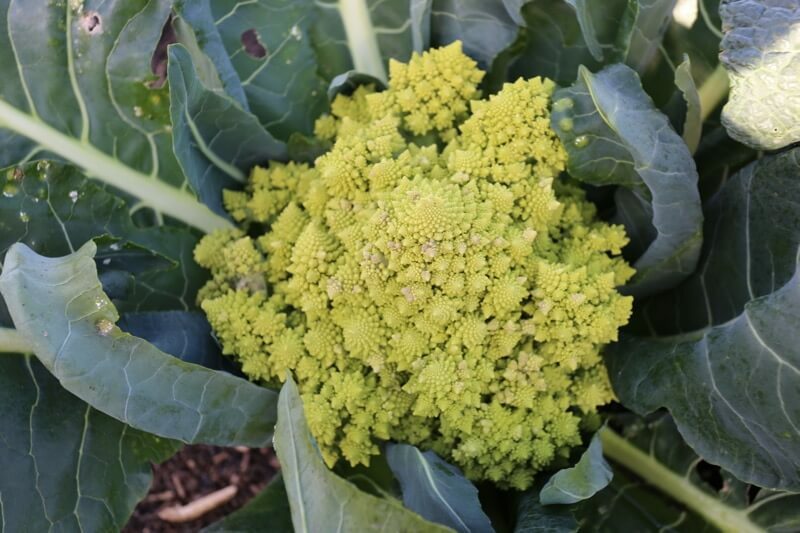 The last Romanesco, so tasty! 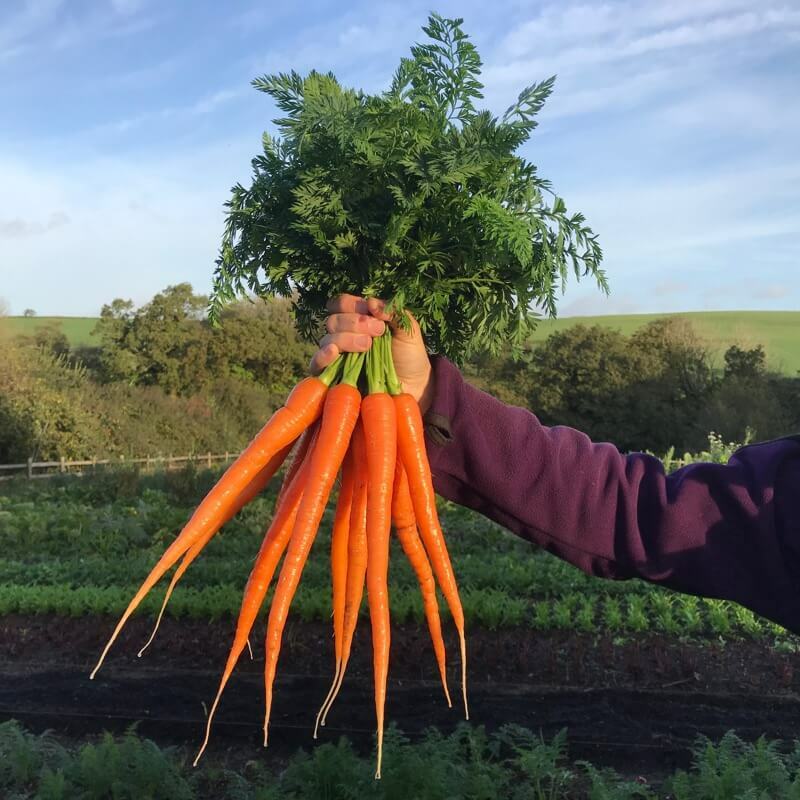 As usual you have beautiful vegetables to harvest! 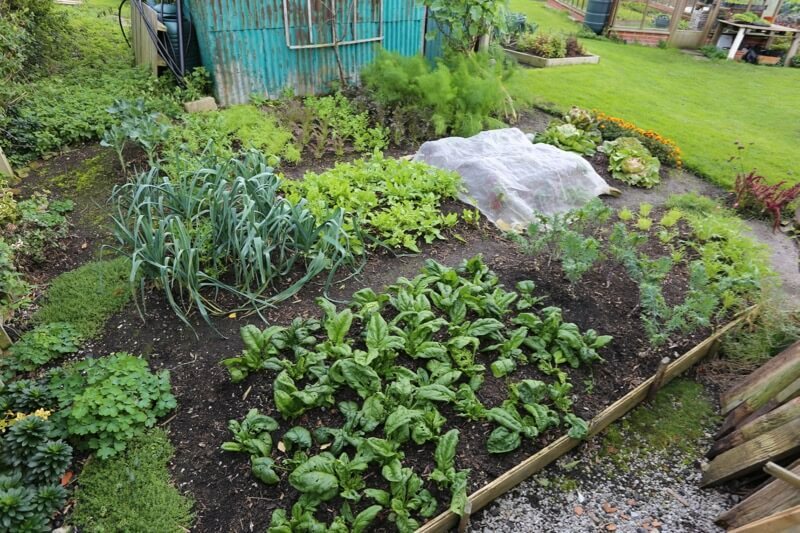 Please could you tell us which plants you have covered with fleece? 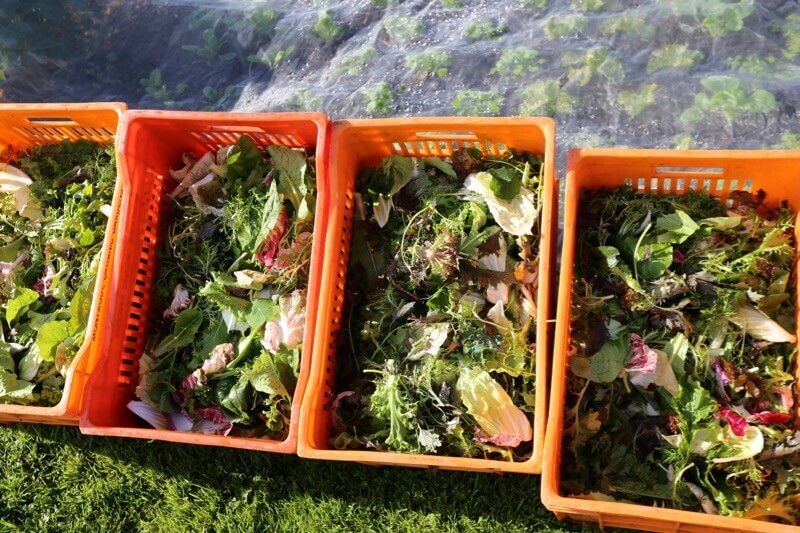 Only salads, to preserve best leaf quality. Turns out it was not necessary as the frost was very slight. Here in Australia due to the fact I had to get more beds online quickly, I was not able to tarp the ground to get rid of invasive grass so it has been a battle for me to deal with the runner grass as the weather warms up and the grass pokes its head through the layers I put down as base. 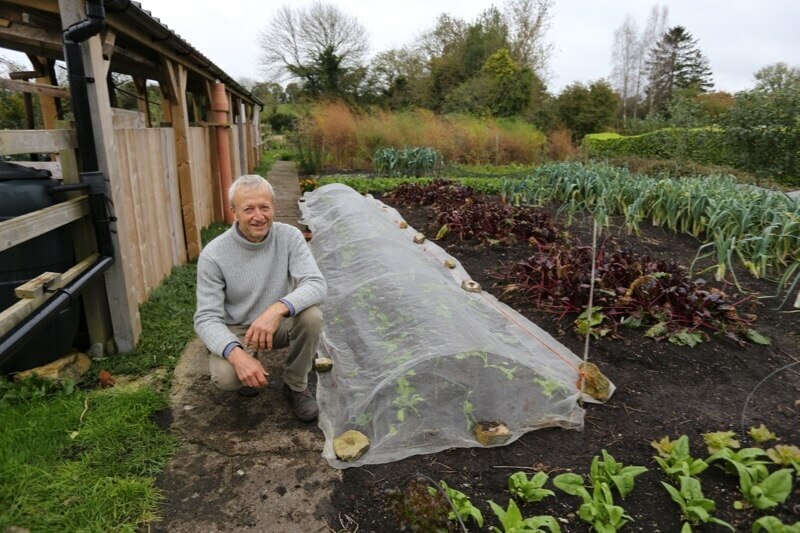 I have had great success with the other areas that I was able to tarp long enough and have just finished the main spinach, mesclun and lettuce crops and currently cropping 400 strawberry plants. 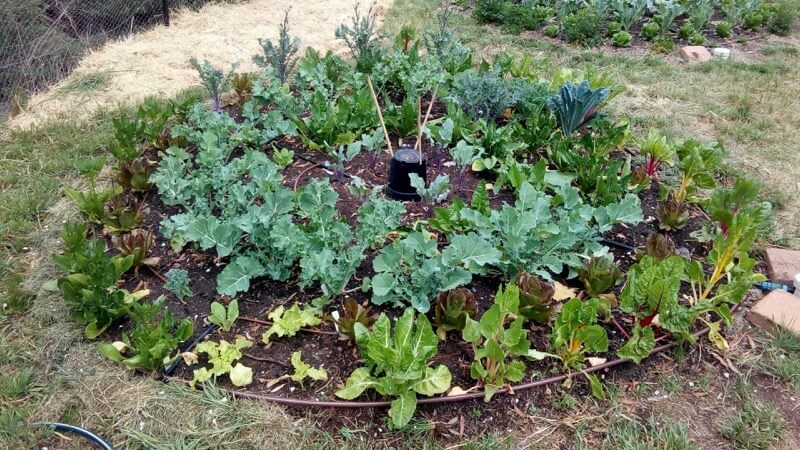 I have prepared those salad greens beds now with my compost that includes the worm castings, for the summer crops and see how far I can push growing salad greens before the heat makes it to hard. 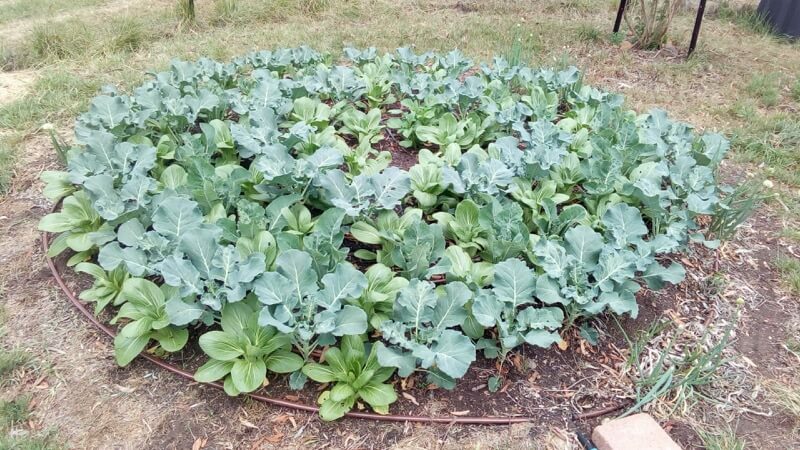 I am so happy with the results from the no dig method so far … the amount of worms and general health of the plants are testament to the efficacy of the concept. Interesting comment Russell and it shows how careful one needs to be with mulching perennial weeds, and how worthwhile it is to allow long enough. Great news from your longer mulched area and that your plants are extra healthy.